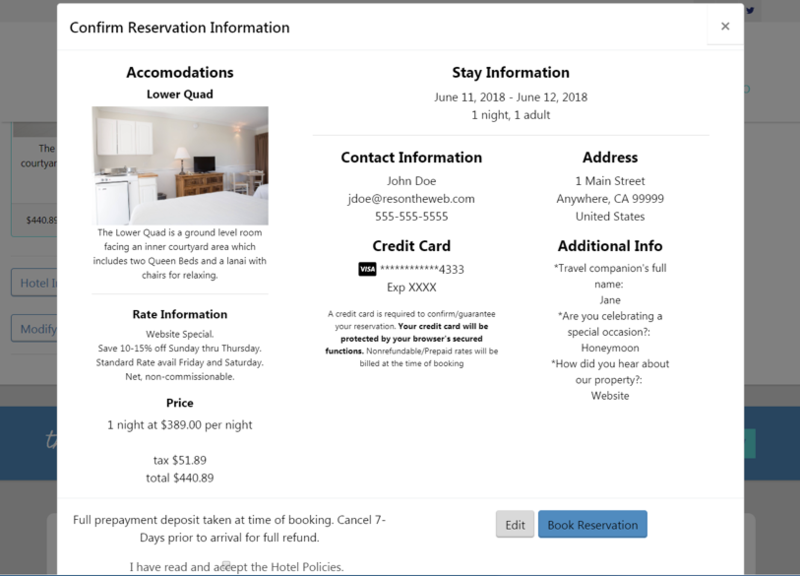 AutoClerk’s ResOnTheWeb is a web booking engine that connects your hotel’s proprietary website to AutoClerk’s Property Management System at the hotel. ResOnTheWeb’s connection between your website and the hotel is real-time and and is two-way, meaning that your hotel’s website can offer up-to-the-second room availability so as to help prevent guest overbookings and underbookings. Quoted room rates are also kept current, and there is full support for AutoClerk’s rate tiers, which gives hoteliers the power to have room rates automatically change based on pre-defined yield management rules. New reservations and cancellations flow directly from your hotel’s website into the AutoClerk PMS, without any clerical intervention. ResOnTheWeb has the unique ability to guarantee that one specific room – of the appropriate room type – is available for the entire length of a guest stay. ResOnTheWeb is mobile friendly! Guests checking hotel availability/rates or booking a reservation via a mobile device are presented with easy-to-read mobile screens & one-thumb friendly data entry. TripAdvisor’s TripConnect interface allows guests visiting www.tripadvisor.com to link directly to hotel’s ResOnTheWeb booking engine, thus bypassing expensive OTA booking engine channels. There are management configuration options to hold back room availability based on run of house and/or specific room types for any day into the future. 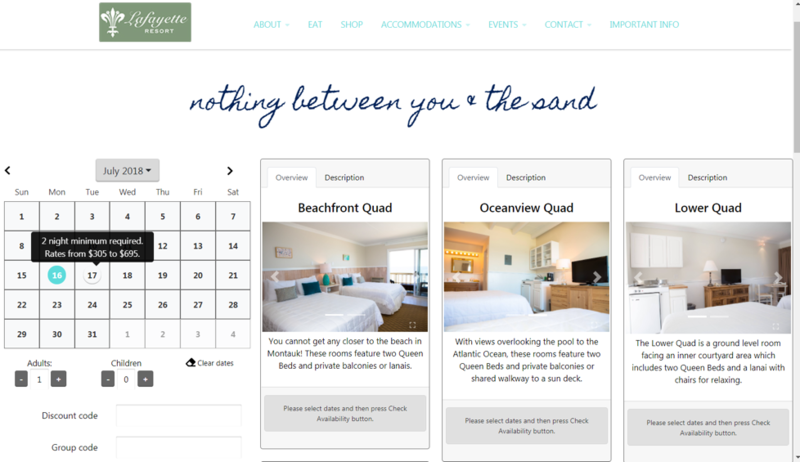 Special care is taken to make the web booking engine screens blend into your current hotel’s website. AutoClerk’s web programmers will customize the screens to use your hotel’s logo, graphics, wallpaper, and room descriptions. 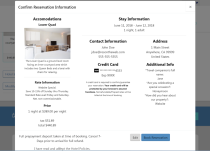 The customization also applies to email letters of guest confirmation. You decide on the verbiage to use for the email letters so the guest is informed of your particular hotel’s policies regarding cancellations, etc. Email confirmations use the AutoClerk confirmation number, which is less confusion for the guest and clerk alike (as compared to other services that impose secondary confirmation numbers). Guest receive email letters of confirmation immediately upon booking. ResOnTheWeb can book by room type or even by specific room number, which is very unusual, as very few web booking engines allow the blocking of a specific room. ResOnTheWeb need not conflict with your current use of other third party vendors for Global System Distribution (GDS) connectivity. In other words, your hotel can use ResOnTheWeb as its web site booking engine, and your hotel can still receive GDS bookings for all other electronic bookings. This combination gives you the best of both worlds, and has the potential to save you money in reduced GDS transaction fees, especially if you encourage your repeat guests to book directly via your website.